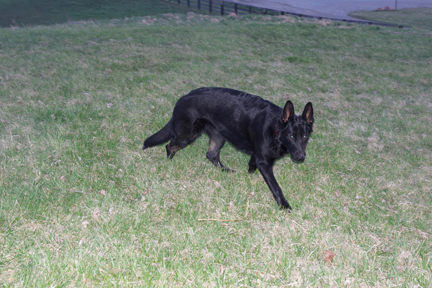 Lexi is a 1 year old, she is a beautiful loving Black German Shepherd. 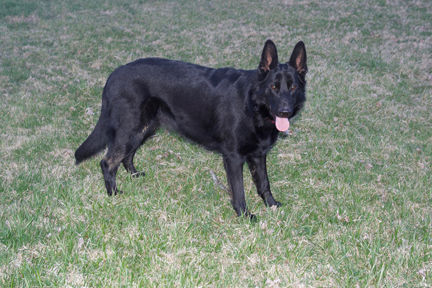 She is spayed, she is house trained and she is a awesum protection dog. My dogs produce puppies with excellent health, impeccable temperaments, beautiful conformation, extremely intelligent, truly top notch puppies! 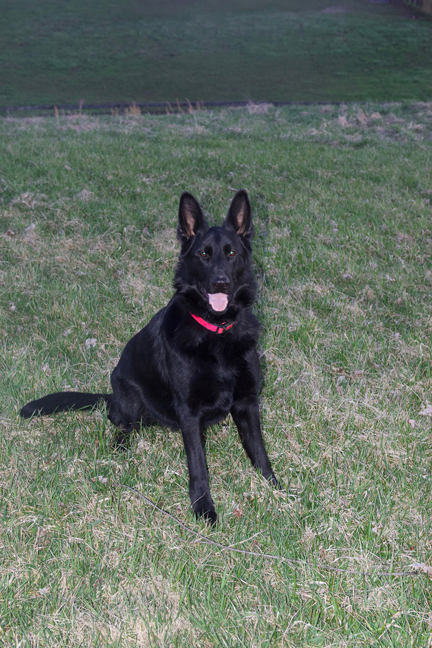 Puppies are sold with AKC registration, current vaccinations/de-worming. When you buy a puppy from us, you are getting a QUALITY German Shepherd to become a life time member for you and your family. QUALITY isn't expensive, it is priceless. I hand-raised all puppies from birth and spoil them everyday until they leave our care. I spend unlimited hours per day playing with the puppies. 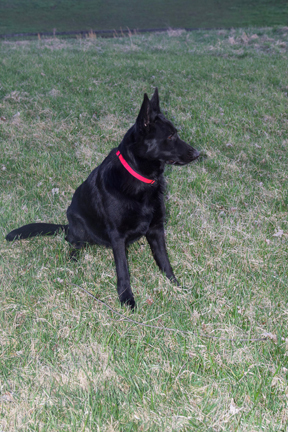 A well socialized pup, is a well socialized dog, that you can be very proud to own. Each pup receives individual attention. 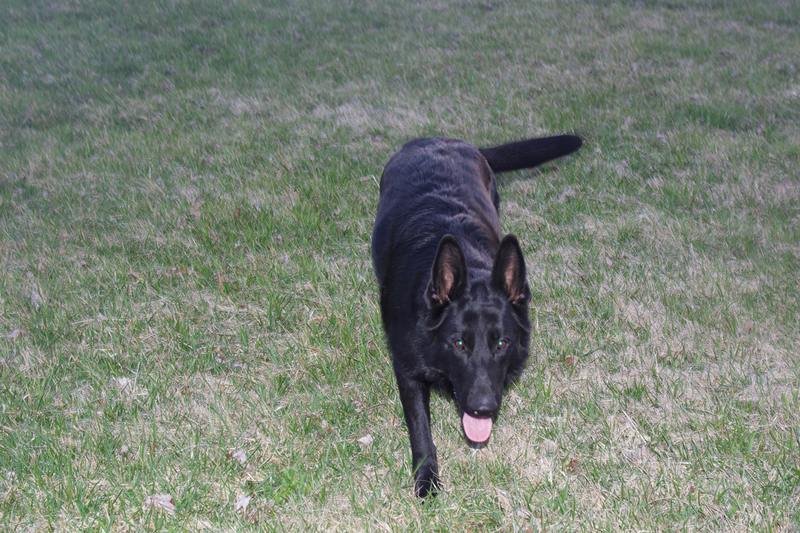 They receive the confidence they need to become the dog you expect and deserve for you and your family. We get them familiar with sounds of indoor and out door activites. We introduce them to other dogs/cats and people to develop their social skills. They are used to being bathed, ears cleaned and toe nails clipped and loved alot. I love each and everyone of the puppies. I breed for quality not quantity, and it is hard to see them leave. So I want to make sure they are going to be loved and treated as family when they leave to go their new home. © 2018 Silver Creek Shepherds. All Rights Reserved.